Who knew I won Gold? So the Olympics are finished and life can get back to normal. So what does that mean? Well for a start we can all stop watching sport at every available moment – I even found myself actively engaging in a bout of jumping earlier last week – trust me – put Olympics in the title and I was quite literally watching anything. Turned out we are good at jumping and got Gold in it – who knew?? We can also stop being a little smug about our medal haul – none of us are actually smug – we are just trying to cover how totally amazed we are with how well we have done. And in who has achieved – allot of our ‘nailed on’ medals didn’t come off, or didn’t do as well as we would have hoped, while in other areas (dancing horses anyone?) we have surprised everyone. I can finally put my flags away – they came out for the Jubilee and have taken up residence since – and I have never owned a flag prior to this. The London transport system can stop emailing me thanking me for not using it – I’ve never seen a business so pleased that I have avoided it and chose other modes of transport instead (primarily, not going to London, and walking when I had to go, or even on one occasion going in an Olympic Lane in a taxi – I was so excited…). But what I am most excited about is how much of a medal I have won. Obviously by being a taxpayer and buying lottery tickets all the athletes funding has actually come from me (and the rest of the British public). So based on the 63,600,000 people there are in Britain (well, the UK), I calculate that I have personal possession of 0.00000102201 of one of our 65 medals. I’m so proud. If you try and work out how much of a gold medal I have won however calculators start doing funny things – mine tells me I have won 4.55974843e-7 of one of our Gold medals. That’s maths too hard for me, so I’ll stick with ‘some’ of a gold medal is mine….! So for a little wincey country I think we have done pretty good – and it’s just been announced that on the back of our success kids will be doing more sport at school, increased spending will be available for continued investment in sport both at community and elite level, and we will all be taking an increased interest in Handball and Taekwondo. 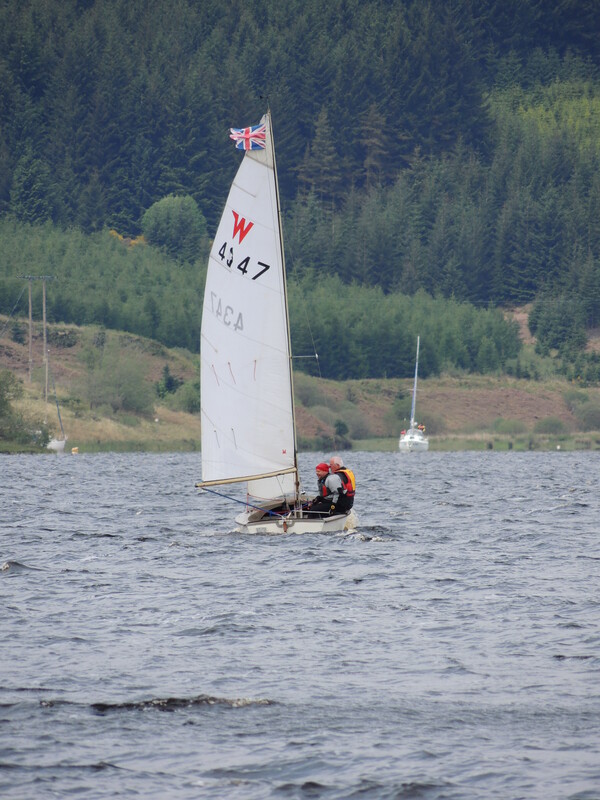 Net gain in sailing club members over this time? Nil. Drastic action is required to capitalise on Olympic enthusiasm. Watch this space. 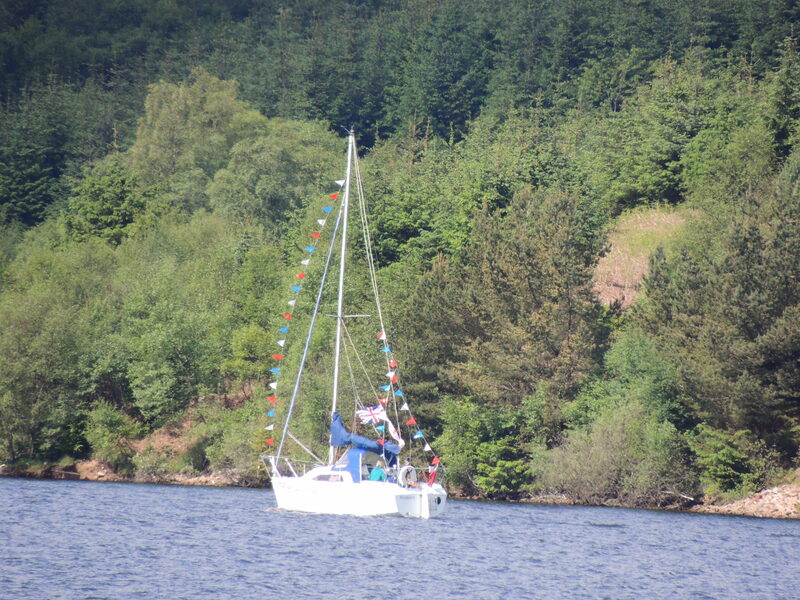 As the country celebrates with fireworks, a flotilla and festivities galore, we at Kielder were not to be out done. We had our very own sail past from the yacht club. 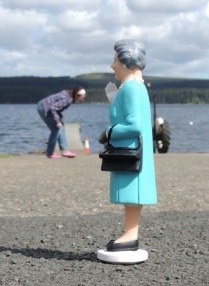 The Queen herself was pleased to attend – I employed my very best curtsey. As you can see in these times of austerity she even wore the same outfit as she did back in 1982 when she opened the resovoir. 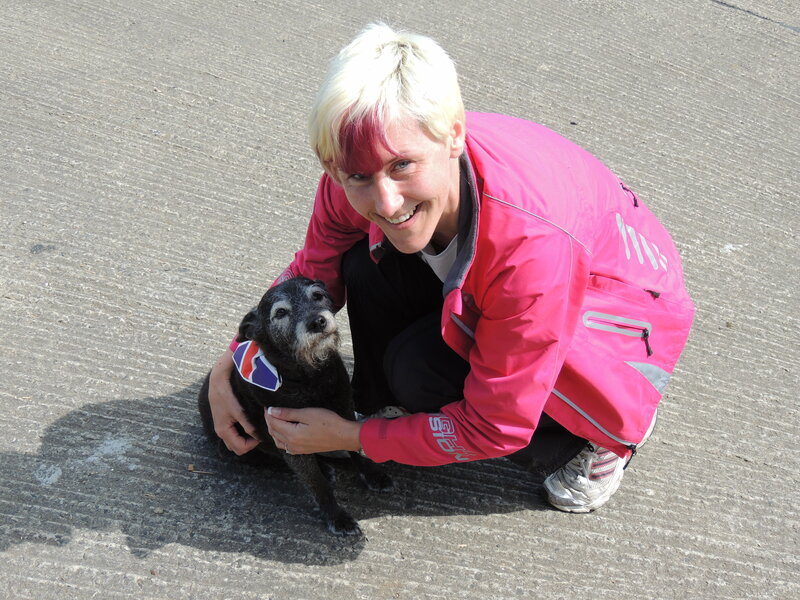 Even the dog was looking patriotic. After a walk around, she stayed for a bite to eat before dashing back to London for the evening festivities. The NSC (none sailing comodore) even put in an appearance. So a rare event indeed. We hope to see the queen back in the near future for a cruise and a BBQ, we’ve let her know we have some spare wetsuits she can borrow if she or Philip doesn’t have one to hand. In the meantime, it was a weekend to remember – and from all at the club – God Save the Queen!